In April next year, twelve brave staff members from CLEAR Insurance Management will be running the 2018 Virgin London Marathon to raise money for three chosen charities; Children with Cancer, Tommy’s, and Mind. Amongst the ‘CLEAR Runnings’ team are Daniel Innes - running for Tommy’s, Lianne Bayne - running for Mind and Kevin Donegan, Stewart Ruffles, Paul Harte, Paul Merrick, Katie Magri, John Crouch, Deniz Djemal, Brent Escott, Sam Cheshire, Lucky Clayton all of whom are raising money for Children with Cancer. Ransomware attacks: Have you prepared your business? 2017 has been filled with businesses reporting cyber-attacks and with ransomware now the most likely cyber-threat to UK businesses, have you made sure your business is ready? On Thursday 7th September, we hosted our annual Golf Day to thank clients, insurers and associates for their custom and assistance during the past 12 months. We were blessed with mainly dry weather and great golf playing and we were able to raise £730 for our Charity of the Year, Cancer Research UK on the day. Are you conducting thorough fire risk assessments? If you are an employer, owner, landlord, occupier or anyone else with control of a premises, you are responsible for fire safety. Conducting fire risk assessments helps to prevent fires, keeps the property and employees safe, and increases the chances that your business can recover should a costly fire happen. Keep reading for more information on how to conduct a fire risk assessment. We are delighted to announce that the first quarter winner of our Pauline Uludag Employee of the Year Award is Andrew Marchington in our Claims Team. The HM Treasury reported in the Autumn Statement 2016 that the standard rate of Insurance Premium Tax (IPT), the tax on general insurance, will increase from 10 per cent to 12 per cent with effect from 1st June 2017. On 1st March, the penalties for using a mobile while driving doubled. Now, if you are caught using your mobile while behind the wheel, you will receive six points and a £200 fine. For new drivers that have been driving for less than two years, this means that their licence will be revoked and they must retake their practical and theory tests. The significant penalty increase is in response to the high number of deaths and injuries every year caused by drivers using their mobile phones. The DfT said that of 88 deaths caused by distractions in 2012, 17 were because of mobile use – a higher death rate than other in-car causes. In 2014, this had risen to 21 fatal accidents and 22 in 2015. First launched in 2012, the annual Cockpit Arts / CLEAR Insurance Award aims to support professional craftspeople by providing them with match funded studio space and business development support for one year. Of the 10 designer-makers invited to interview in July 2016, Leah Jensen impressed the judges and was selected as winner of the 2016 Award. Leah Jensen is a ceramicist and wood turner who merges different materials together to create striking and unique pieces. Leah’s research examines European painting between the 14th – 16th centuries, depicting tales of sorrow, tragedy and beauty. Within the last 24 months, 44% of UK organisations have been infected by ransomware, and 27% of those were infected more than once, according to recent research published by cyber security firm, Trend Micro. We are delighted to announce our acquisition of MPW Insurance Brokers based in Maidstone, Kent. This latest deal represents our 21st acquisition since we were established in 2001 and now means that we handle over £90m in premiums. MPW also becomes our largest acquisition to date. There's lots of debate at the moment about the existence of zero hour contracts. However, most vending operators are probably more concerned about their exposure to a minefield of legal changes covering a wide range of issues. It’s tough enough trying to make a profit and stay in business and made harder if you have issues dealing with employment problems with a member of your workforce. Keeping pace with developments to employment law is now a full-time job. However, the majority of vending operators are unlikely to have an in-house legal or human resources department, or the available funds to cover legal disputes as they arise. So, unless a company has in house legal expertise it can be very expensive to ensure compliance on all issues and can place considerable strain on the resources of a small business. In 2014, CLEAR launched the Pauline Uludag Employee of the Year Award in memory of our well-loved Claims Manager Pauline Uludag, who lost her fight with illness in December 2012 and passed away. Pauline was known for her exemplary standards, cheerful and considerate demeanour and genuine warmth towards clients, colleagues and insurers. The award was set up to recognise those of our staff who go the extra mile like Pauline did. We had several staff nominations for our award and we were delighted to announce at our recent staff party that the winner of the 2016 award was Kerry Thompson. There were also two runner up awards; Tracy Holding-Director of the Year and Nisa Leach-Young Achiever of the Year. Please note that CLEAR will be moving email services on the weekend of 13th-16th January 2017. 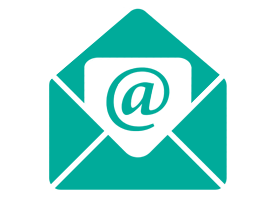 All emails sent to us will continue to be received and forwarded, but there could be a sluggish response to some services and our access to emails may be restricted/delayed. Christmas is nearly here and as 2016 comes to an end we would like to take a moment to thank you for your valued support. Sending you yuletide greetings and the best of luck for a prosperous 2017! RBS and Natwest have alerted us to the Bogus Boss scam which has already cost UK businesses millions of pounds. Congratulations to Laura Miller, Trainee Account Handler in CLEAR's Commercial department, for being selected as an Apprenticeships Live finalist having recently attended their regional event. The objective of the events, hosted by the Insurance Times and CII, is to help recognise and develop the insurance industry’s brightest and best apprentices. The judging panel were extremely impressed with the quality of input from everyone on the day and Laura was selected – unanimously – as one of the finalists for their London event, which was held on Monday.